I had a bit of a problem with my diff lock, in that it wouldn't engage. The transfer box lever would move to the left one "notch", but not into another notch by the time it hit the far side of the lever assembly. 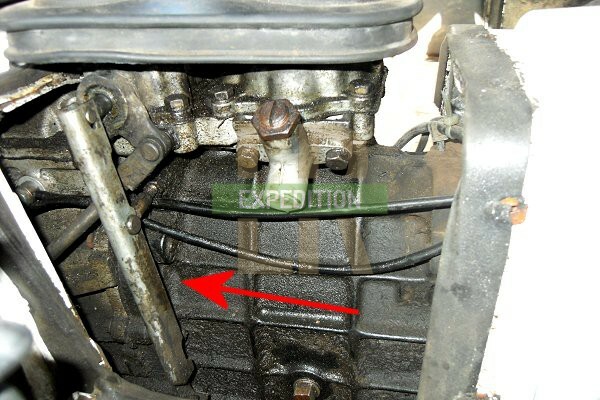 I removed the gearbox tunnel and saw a vertical lever which transmitted the movement to the diff lock switch located on top of the transfer box front output housing. 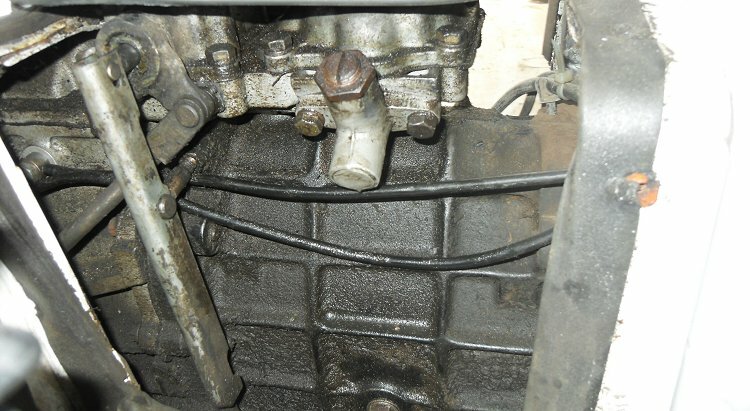 This is the arrangement on a 200Tdi. The 300Tdi, Td5 and Tdci have a different setup. When you move the transfer box lever left to engage diff lock, the top of the linkage moves away from the gearbox. As it pivots at the middle, it pushes the bottom away from the gearbox and thus pushes the diff lock switch. I tested the switch by levering it with a prybar and it moved through two "notches". I jacked the front wheel up, took it out of gear and turned the wheel. It locked and the diff lock dashboard light came on. This showed that the diff lock actually worked but the linkage wasn't moving the switch far enough. The middle pivot point wasn't far enough away from the gearbox to make the bottom move across far enough. The pivot is screwed into the gearbox, so I removed the clevis pins top and middle, and unlinked from the bottom, and then unscrewed the pivot a turn. On refitting it worked. The linkage now moved the switch through the two full notches. 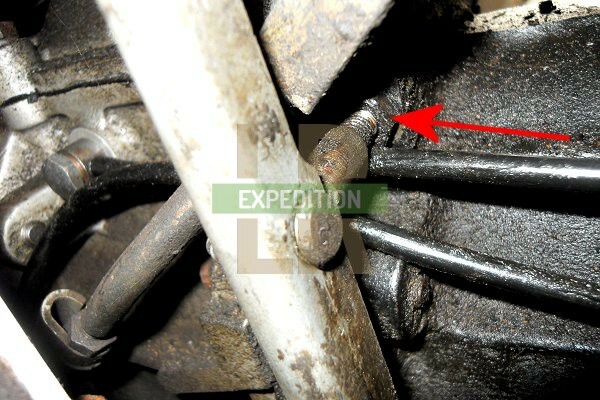 See the video below of the diff lock linkage working as it should.